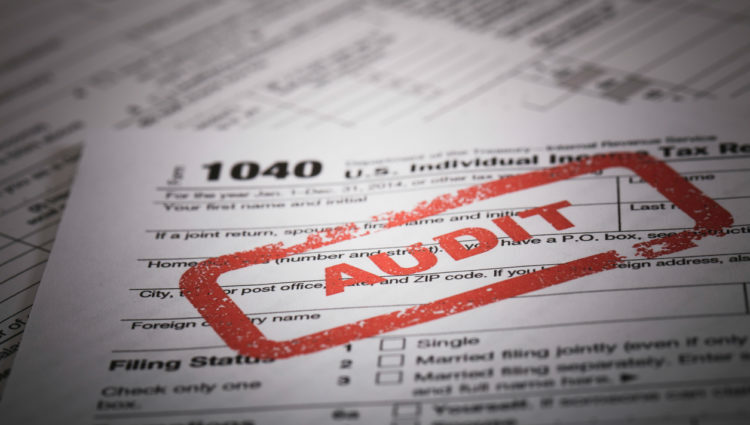 The Internal Revenue Service (IRS) relies on data to assess your tax returns. It takes the information you provide and analyzes it against the correlating evidence provided by businesses that paid you as an employee, sub-contractor, self-employed business, or freelancer. They will also apply statistical data against your information to determine whether the deductions you've claimed fall within a norm for your particular business. IRS computers are specifically programmed for this type of data analysis and are great at flagging discrepancies. This behooves you to be forthright and thorough with your tax returns. Any business that sends you a W2 or form 1099 also sends a copy to the IRS; make sure you've kept track of all of your income in order to provide an accurate amount to the IRS. If your deductions are higher than the average it can cause an IRS alert; always keep accurate records to support your figures. This includes charitable contributions - unless you have mitigating circumstances such as a death in the family where you donate much of your loved one's belongings, claiming excessive donations for your income can raise a flag. The IRS also looks at mortgage interest deductions in comparison to income rate. There are a lot of expenses to running a business, but statistics also provide a range of normal values for almost any business you can name. The IRS uses these values to determine whether you are claiming too much of a loss, or even too much income. Make sure you are following the letter of the law with regards to whether you qualify for this deduction - many individuals make the mistake of claiming this deduction when they don't qualify for it, or claiming too much of a percentage of household expenses. If you only own one vehicle it is nearly impossible to support a claim that you use it 100% for business use. Be sure to document everything - if you claim maintenance and payments, keep receipts; if you claim mileage keep a written record. Individuals making money on gigs or freelance work especially, tread a fine line when reporting their earnings as small business income. If the IRS decides your business is actually a hobby, this will affect your deductions as you can only deduct expenses up to the income you earned. In a business, you can deduct all qualified expenses and show a loss. A hobby determination by the IRS could cost you in penalties and increased taxes. These are just a few of the triggers that the IRS computer algorithms are programmed to catch. To avoid these and any others, a good rule of thumb is to pay attention to tax regulations, keep good records, and document everything. If you are a small business in the Phoenix area in need of tax advice or financial coaching please contact us, or call (602) 833-3260.